In a keenly fought contest for the world’s top job, Republican Donald Trump came out winner in the US Presidential elections by defeating Democrat Hillary Clinton. Trump will be 45th President of the United States of America. Trump’s victory ends eight years of Democratic rule in the White House. The Republican nominee won on Wednesday after capturing Wisconsin’s 10 electoral votes, putting him over the 270 threshold. The battlegrounds of Florida, Ohio and North Carolina cleared the way for his Brexit-style upset. This entry was posted in Republicans and tagged beats, Clinton, Democrat, Donald, Hillary, presidency, Republican, take, Trump on November 9, 2016 by William. This entry was posted in Republicans and tagged About, Democrat, It&#39s, mostly, Republican, Trump on March 2, 2016 by William. This entry was posted in Democrats and tagged Clinton, Democrat, Elizabeth, Hillary, Warren, ศึกในพรรค on December 19, 2014 by William. Republican Chief Deputy Whip Kevin McCarthy r holds the weekly colloquy on the House Floor. This entry was posted in Republicans and tagged Cantor, Colloquy, Democrat, Engage, Eric, Hoyer, Leader, Republican, Steny, Weekly, Whip on November 24, 2014 by William. The House Republican Whip Eric Cantor delivers the weekly colloquy on the House floor. This entry was posted in Republicans and tagged Cantor, Colloquy, Democrat, Engage, Eric, Hoyer, Leader, Republican, Steny, Weekly, Whip on November 22, 2014 by William. House Republican Whip Eric Cantor holds the weekly colloquy on the House Floor. 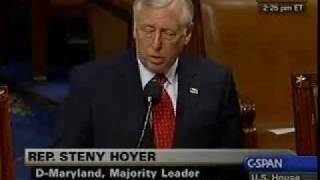 This entry was posted in Republicans and tagged Cantor, Colloquy, Democrat, Engage, Eric, Hoyer, Leader, Republican, Steny, Weekly, Whip on November 9, 2014 by William. 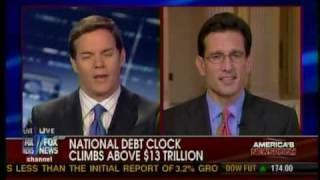 Republican Whip Eric Cantor Discusses Deficits, Democrat Spending & YouCut. This entry was posted in Republicans and tagged Cantor, Deficits, Democrat, Discusses, Eric, Republican, Spending, Whip, YouCut on November 4, 2014 by William. The House Republican Whip Eric Cantor holds the weekly colloquy. 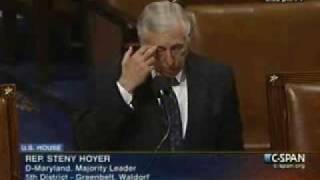 This entry was posted in Republicans and tagged Cantor, Colloquy, Democrat, Engage, Eric, Hoyer, Leader, Republican, Steny, Weekly, Whip on October 29, 2014 by William. House Republican Whip Eric Cantor participates in the weekly colloquy. 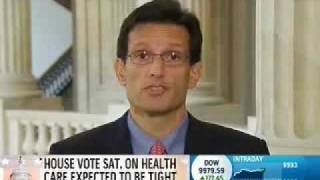 Republican Whip Eric Cantor discusses the Republican health care alternative and pre-existing conditions. 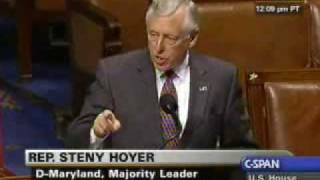 This entry was posted in Republicans and tagged Cantor, Colloquy, Democrat, Engage, Eric, Hoyer, Leader, Republican, Steny, Weekly, Whip on October 28, 2014 by William. House Republican Whip Eric Cantor participates in the weekly colloquy on the House floor. This entry was posted in Republicans and tagged Cantor, Colloquy, Democrat, Engage, Eric, Hoyer, Leader, Republican, Steny, Weekly, Whip on October 17, 2014 by William.